Eating healthy has been priority for us since before the kids were around, but with them, the time constraints of family life make finding the time to prepare nutritious meals much more difficult. Let's face it, fast food restaurants and prepackaged meals just aren't in-line with healthy. Where as lots of vegetables and foods prepared from whole ingredients are. Here are a few strategies I have found which help our family to eat healthy. I don't have time to prepare three meals per day from scratch and neither does anyone else in the house, but we can all help out a little. The kids are in charge of breakfast. They take turns preparing the family meal. It's awesome because they eat happily since they prepared the food, feel a sense of responsibility, gain confidence seeing others enjoy their creations and I don't have to do it. My husband is in charge of lunch. His work schedule has him home each day at lunch time so it works well for us. Plus he's a good cook and prepares a nice variety of meals. Often foods like spaghetti, stir-fry, and grilled cheese are consumed mid-day. Today he served bratwurst, steamed broccoli, carrot and pepper slices. I'm in charge of dinner and try to make meals as good as my husband's. Knowing who's in charge of meals is part of the routine, but the other part is timing. I've found that if we eat a meal extra early or late it can throw off the flow of the rest of the day. Since my daughter has chemotherapy pills to take each night two hours after eating, a late meal can be a big problem. We try to eat lunch at 11:00 and dinner at 5:00 each day. I know for me that means I need to be in the kitchen at 4:00 and get moving. I rarely use a cookbook because it takes me too long to find a recipe and all the ingredients to go in it. When I do use a cookbook, there are always substitutions. Instead, I have learned how to prepare meals that have flexible ingredients such as soups, stir-fry, pasta, and lasagne. That way I can add spinach, carrots, peppers, zucchini or whatever vegetables we have on hand. When I know we will be out during cooking time I prepare very simple meals. Hard boiled eggs can be made in advance. Grilled cheese, sandwiches and spaghetti are quick to make. Frozen vegetables and canned beans are healthy and eliminate the time required for cutting up fresh vegetables. Sometimes I do use convenience foods, but really try not to. My kids love it when we eat the refrigerated ravioli. Crock pot meals come in handy when sports overlap with cooking times, and if all else fails we visit the German Bakeries. They sell fresh deli sandwiches which usually contain cucumbers, tomatoes, egg, cheese, lettuce and sometimes deli meat. They are tasty and satisfying. Our list of bloggers participating in the Homeschool Help series is growing and becoming more international. Please welcome the new bloggers by stopping by to read their posts. Erin at Seven Little Australians shares how organization helps her large family juggle cooking and homeschooling. Nicole at One Magnificent Obsession shares her realistic meal planning secrets. Savannah at Hammock Tracks shares ways to get out of cooking without calling Dominoes Pizza. Chareen at Every Bed of Roses makes cooking a healthy adventure. Hwee at The Tiger Chronicle shares three simple tips to prepare healthy meals every day. Bernadette at Barefoot Hippie Girl shares ways to make delicious healthy food from scratch almost every day. Lucinda at Navigating by Joy gives tips on ensuring the kids eat healthy even when cooking isn't enjoyed. 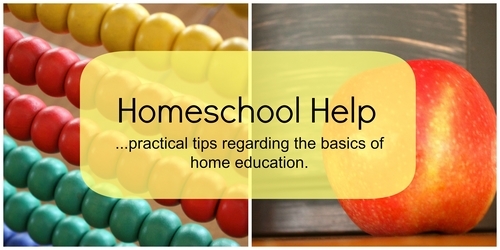 To see the previous posts in our Homeschool Help Series please visit our Resources Page. Oh love the delegate part. Now that my youngest son is into cooking I may just have to do that more. Thanks for a great post, Julie. I am glad you are a part of the team. I agree about delegation! I'm really bad about getting the kids involved but it's high on my goals. So far I've got them setting the table and unloading the dishwasher - cooking's next! Delegate here too, and often substituting, so many times I tweak a recipe. Planning to use my crockpot more, need to find some simple recipes.